Now there’s a little bit of a debate going on as to which is the finer Tuscan vintage 2006 or 2007. Of course it’s never as simple as that; Tuscany is a big place and the Maremma is a long way from Montalcino is a long way from Greve etc. etc. I always like to think of myself of having a rather refined, classical, European palate, but in this debate I fear I am betrayed as a bit of a tart. I have always preferred the up-front, juicy plumpness of 2007 over the very, very slightly austere and reticent 2006’s. Recently I have been drinking through a few 2007’s and I slightly threw myself into a panic: my cellar is not made up, alas, of Super Tuscan behemoths such as Reddigaffi or Sassicaia, but rather Rosso di Montalcino, Chianti Classicos and a small coterie of IGT’s. A tired Rosso from Montalcino’s finest, Cerbaiona, was meagre (although a second bottle was better), and a bottle of 2006 Montevertine seemed to be quietly running out of steam (but that may just be the transition to Burgundian finesse which is the mark of the domain). I had noticed a distinct precocious ageing going on, with wines losing a little of their edge, developing that dreadful pruney flavour that some, for some weird reason, adore. Were they all for the bin, or Chicken Cacciatore? And worse, would my cherished Querciabella 2007 be ruined before I had even opened a bottle? Happily, panic was assuaged and as I opened a bottle on Monday night I was glad to be greeted by a feisty, meaty, flavoursome Chianti that has legs to run. On the meaty front I would underline veal rather than beef; it is a suave wine with ample purity and grace in its structure and tannins. Interestingly, it contrasted well with my last bottle of 2006 drunk back in 2011. That last bottle was a disappointment; it was a wine moving to the dark side , justement, with the advanced flavours of prunes and stewed fruit. So I think, in the debate, it is probably a question of means. 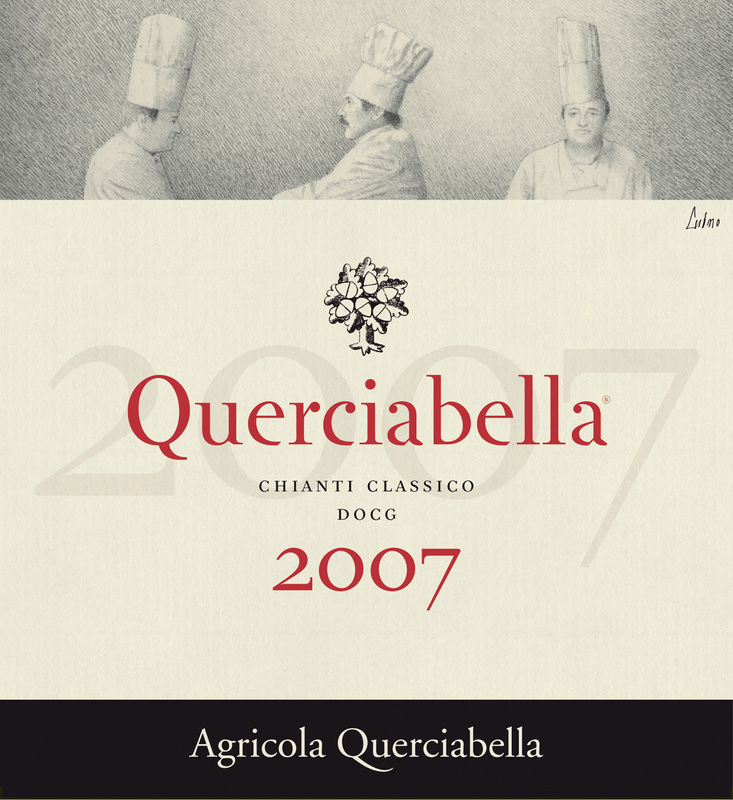 If you have the wallet, 2006 may offer wines at the top end of the Tuscan Spectrum with great longevity and breeding. 2007 offers, at that level, a more open, slightly flashy, crowd pleasing overture. But the second act may run for less. However, for those such as me, on a more modest budget, and shopping the wines of Chianti Classico or up tu 25-30 euros IGT’s, 2007 is going to hit the mark. I think the bright, voluptuous fruit will run and please for a good ten years from vintage.